Happy 10th Anniversary Golden Geek Awards! 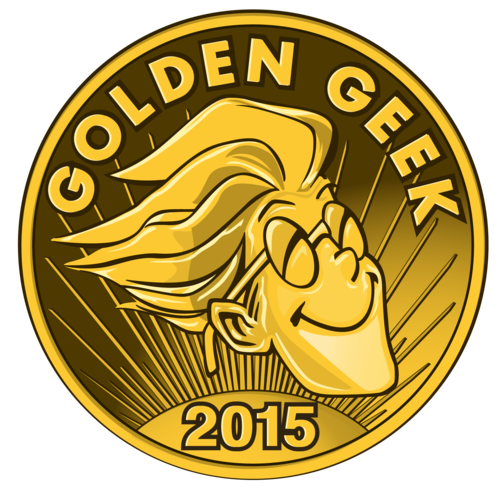 The 2015 Golden Geek Awards have just been awarded and we are super excited about the results! Ticket to Ride united Kingdom won the Golden Geek Award for Best Expansion while Five Tribes: The Artisans of Naqala is Runner Up in the same category! Congrats to Alan R. Moon, Julien Delval, Bruno Cathala, Clément Masson and thanks to all the people that took part in making these expansions a success! This entry was posted on Wednesday, March 23rd, 2016 at 11:01 and is filed under Big Adventure Games, Events, Games, Ticket to Ride. You can follow any responses to this entry through the RSS 2.0 feed. Both comments and pings are currently closed.